Are you sick of the word ‘detox’ yet? I feel like it’s too early to call a ‘spring clean’ as it’s absolutely freezing outside, so detox will have to do. Anyway, as seen in my blog sale recently, I’ve been having a bit of a clear out in the beauty department, so thought I’d share my top tips and snippets of advice to help you if you’re thinking of doing one. One: Swatch Everything | Do you have a million shades of pink? When I go through my stash, I swatch everything and compare shades. I find either I don’t like a lot of the shades/formula or I own something similar. Be ruthless with it, there’s usually a reason why you haven’t ever worn that lipstick! Three: Does It Actually Work? | This is the main question I ask myself when it comes to skincare and any base makeup products. The ones I’m not so sure about, I always set aside and have a serious think about when I used them and what they did for my skin. If they broke me out, I get rid. If I just wasn’t all that keen, I get rid. If I own something similar or better, I get rid. They just take up space otherwise! Four: Could You Replace It With Something Better? | This is where blog sales come in handy, as you can sell of the products that didn’t work for you (but others may benefit from) and get yourself something that does. Go into SpaceNK/John Lewis/Selfridges etc and ask for some samples of products you want to try, but couldn’t splurge on before testing. Try them out, read reviews and see if you can find one product that works instead of 10 that don’t quite cut it. Five: Do You Really Need It? | The ultimate question for any beauty hoarder. Sure, it may look pretty or be a cult blogger buy, buuuut do you really, desperately need it? Chances are, if you’ve went through the points above, that a lot of things you simply don’t need. This counts for buying things as well as cutting back, too! 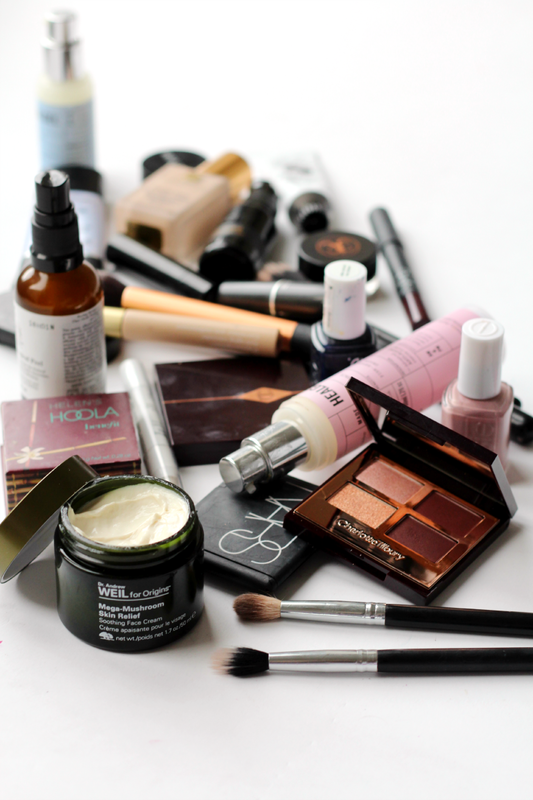 Do you have any tips for cutting back your beauty stash? Check out these blogs too if you fancy a read: Cherry Pie and Sugar Darling!